Pony Tales welcomes the Dakota Shirt into town! 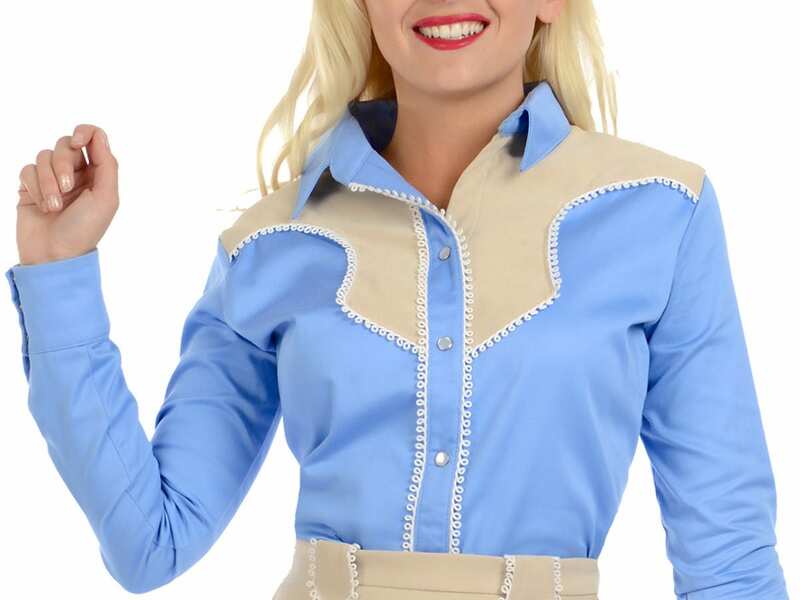 Classic western detailing adorns this delicate periwinkle and tan beauty. Figure flattering contrast stretch faux tan suede yolks lined in adorable white loop trim on the front and back. Long fitted sleeve with a wide three button pearl snap cuff. The fit is nothing short of making you feel your very best!! Pictured here with our coordinating Ivy Western Skirt.